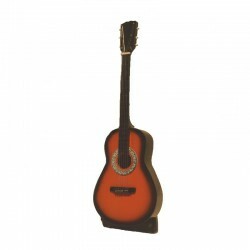 Mini varnished wooden brown classical guitar with its support.Decorative miniature music instrument, made by craftsmen in Bali. Maracas Egg in light wood, 12 cm long, handicraft of Bali.Percussion musical instrument, it is also a beautiful decorative object. 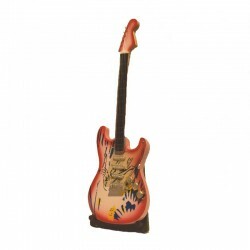 Red varnished wooden electric guitar with its support.Decorative music instrument, made by craftsmen in Bali. For lovers of music or beautiful decorative object, original gift idea. 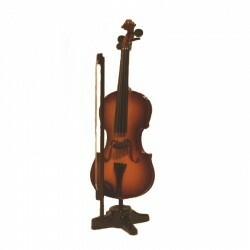 Miniature varnished wooden violin, with its support and bow.Decorative music instrument, made by craftsmen in Bali. For lovers of music or beautiful decorative object, original gift idea. 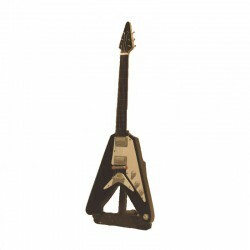 Miniature varnished wooden electric guitar, black and white, with its support.Decorative music instrument, made by craftsmen in Bali. For lovers of rock music or beautiful decorative object, original gift idea. Mini varnished wooden brown acoustic guitar with its support.Decorative miniature music instrument, made by craftsmen in Bali. For lovers of music or beautiful decorative object, original gift idea. Maracas Egg in light wood, 8 cm long, handicraft of Bali.Percussion musical instrument, it is also a beautiful decorative object. Mini varnished wooden brown classical guitar with its support.Decorative miniature music instrument, made by craftsmen in Bali. For lovers of music or beautiful decorative object, original gift idea. Mini varnished wooden light brown classical guitar with its support.Decorative miniature music instrument, made by craftsmen in Bali. For lovers of music or beautiful decorative object, original gift idea. Mini black varnished wooden acoustic guitar with its support.Decorative miniature music instrument, made by craftsmen in Bali. For lovers of music or beautiful decorative object, original gift idea. Mini light brown varnished wooden acoustic guitar with its support.Decorative miniature music instrument, made by craftsmen in Bali. For lovers of music or beautiful decorative object, original gift idea. Mini plum varnished wooden acoustic guitar with its support.Decorative miniature music instrument, made by craftsmen in Bali. For lovers of music or beautiful decorative object, original gift idea. Mini decorative varnished wooden acoustic guitar with its support.Miniature music instrument, made by craftsmen in Bali. For lovers of music or beautiful decorative object, original gift idea. Mini varnished wooden blue acoustic guitar with its support.Decorative miniature music instrument, made by craftsmen in Bali. For lovers of music or beautiful decorative object, original gift idea. Mini decorative varnished wooden electric guitar with its support.Miniature music instrument, made by craftsmen in Bali. For lovers of music or beautiful decorative object, original gift idea. Mini blue and white varnished wooden electric guitar with its support.Decorative music instrument, made by craftsmen in Bali. For lovers of music or beautiful decorative object, original gift idea. Miniature varnished wooden electric guitar, brown with black handle, with its support.Decorative music instrument, made by craftsmen in Bali. For lovers of rock music or beautiful decorative object, original gift idea. Miniature varnished wooden electric guitar, black brown with black handle, with its support.Decorative music instrument, made by craftsmen in Bali. For lovers of rock music or beautiful decorative object, original gift idea. Miniature varnished wooden electric guitar, white and red, with its support.Decorative music instrument, made by craftsmen in Bali. For lovers of rock music or beautiful decorative object, original gift idea. 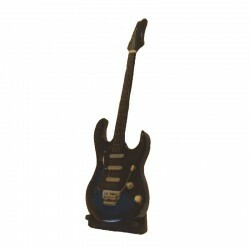 Miniature varnished wooden electric guitar, blue and black, with its support.Decorative music instrument, made by craftsmen in Bali. For lovers of rock music or beautiful decorative object, original gift idea. 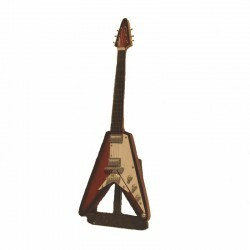 Miniature varnished wooden electric guitar, brown, with its support.Decorative music instrument, made by craftsmen in Bali. For lovers of rock music or beautiful decorative object, original gift idea. Mini purple and white varnished wooden electric guitar with its support.Decorative music instrument, made by craftsmen in Bali. For lovers of music or beautiful decorative object, original gift idea. Miniature varnished wooden hard rock electric guitar, brown and white, with its support.Decorative music instrument, made by craftsmen in Bali. For lovers of rock music or beautiful decorative object, original gift idea. 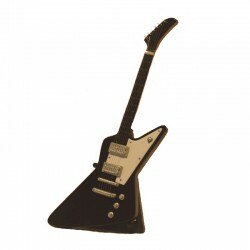 Miniature varnished wooden hard rock electric guitar, black and white, with its support.Decorative music instrument, made by craftsmen in Bali. For lovers of rock music or beautiful decorative object, original gift idea. 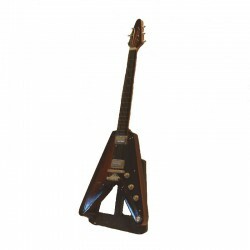 Miniature varnished wooden hard rock electric guitar, black and brown, with its support.Decorative music instrument, made by craftsmen in Bali. For lovers of rock music or beautiful decorative object, original gift idea. Miniature varnished wooden folk guitar, dark brown, with its support.Decorative music instrument, made by craftsmen in Bali. 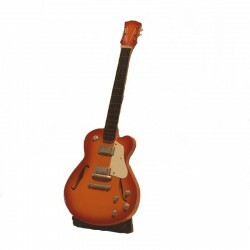 For lovers of guitar or beautiful decorative object, original gift idea. 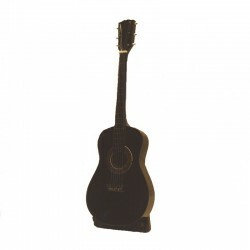 Miniature varnished wooden folk guitar, dark brown and black, with its support.Decorative music instrument, made by craftsmen in Bali. For lovers of guitar or beautiful decorative object, original gift idea. Miniature varnished wooden folk guitar, black, with its support.Decorative music instrument, made by craftsmen in Bali. For lovers of guitar or beautiful decorative object, original gift idea. Miniature varnished wooden folk guitar, light brown, with its support.Decorative music instrument, made by craftsmen in Bali. For lovers of guitar or beautiful decorative object, original gift idea. Miniature varnished wooden folk guitar, brown, with its support.Decorative music instrument, made by craftsmen in Bali. For lovers of guitar or beautiful decorative object, original gift idea.